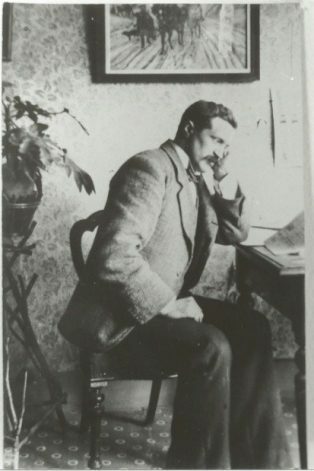 Jesse Taylor was born in Redcliffe, Bristol in 1865, the fifth son of William and Mary Taylor. William was a pianoforte maker and the 1881 census shows that the eldest son followed his father’s trade but Jesse, then 15 years old, and one of his older brothers were watchmakers. Ten years later Jesse, still a watchmaker, was living in Bedminster, Bristol, with his wife Alice who was from an old Ebrington farming family, the Stanleys. 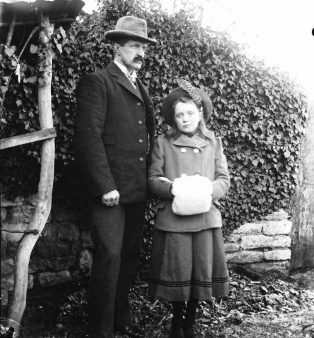 The 1881 census lists Alice as a music teacher in Bristol, living with her grandfather. The music connection must have brought Jesse and Alice together. 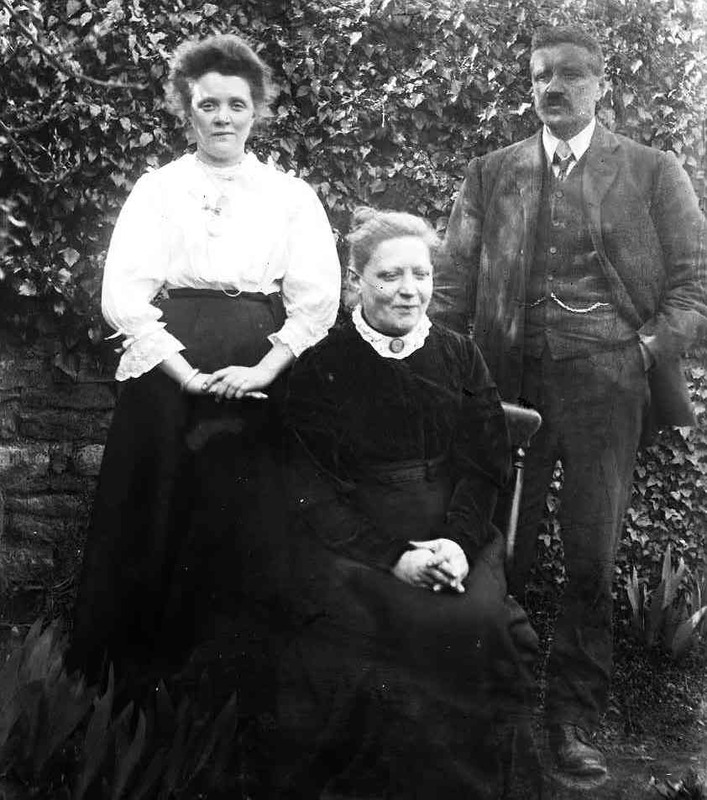 The Taylors moved to Chipping Campden in about 1893, probably to be near her family and he set up his watchmaking and repair business in a shop in the High street. In 1895 Campden held the first of three Grand Floral Fetes and in the following year Henry Taunt, an established commercial photographer in Oxford, came to make a record of the whole event. This may have inspired Jesse Taylor to expand his business in the High Street as he is listed in Kelly’s 1897 Trade Directory as a watchmaker and photographer. 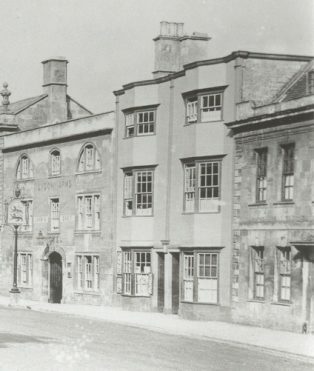 The family moved from Little Martins to The Lanterns, next door to The Lygon Arms in around 1916. 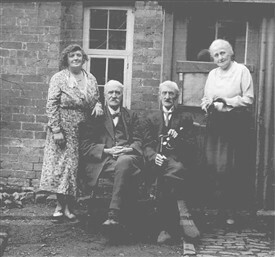 From then until his death in 1938 Jesse Taylor took well over three thousand photographs of life in Campden and the surrounding villages. Many interesting images of Jesse Taylor and his family have been revealed in the latest, and probably last, batch of photos taken from the original glass plates. The plates were found in a Campden barn where they had been stored after the death of Jesse’s daughter, Mrs Dorothy (Polly) Greening. They have been conserved and scanned by Gloucestershire Archives and will remain safely stored there. The copyright remains with Gloucestershire Archives and we are grateful to them for permission to re-produce them. 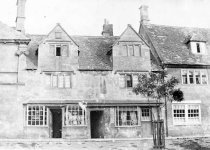 Chipping Campden History Society has all the digital images, now totaling 2,600, and we are cataloguing them with descriptions. Many interesting discoveries have been made, linking people and places, but there are still photos of unknown family and wedding groups which we may never be able to identify. Look at our Photograph Album and see if you know any of them. These latest photos add to our story of Jesse Taylor but more research needs to be done to trace his extended family.